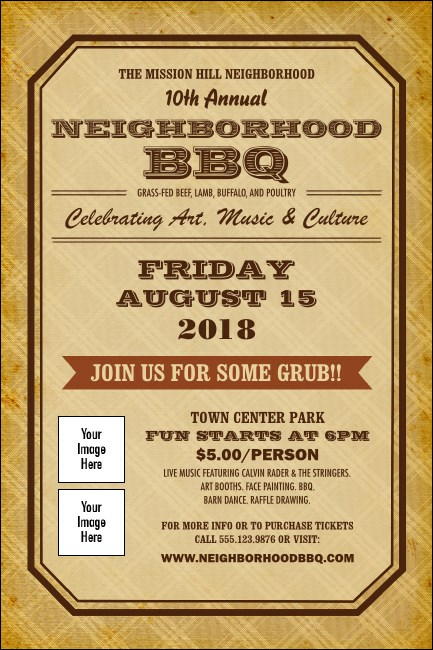 Advertise the good food, family fun, and all around great time that’s coming up when you print BBQ Vintage Posters and post them around your neighborhood. Each Poster features an interesting tan plaid background design, a distressed look around the edges, and includes space for two unique image uploads to the template. Get ‘em ready for the best grub on the block with BBQ Posters from TicketPrinting.com.